It was the look on her face that made me do a double take. Usually Kay looks capable, controlled, firm (even tough). Usually, when things go wrong, she hides behind her anger. Today, the first word that came to mind as I tried not to stare at her was – vulnerable. Is that a good word? Life can be trying for Kay. She’s independent and likes to do things her way. Trouble is, life rarely lets that happen and the delicate art of negotiation is called for. Kay is a tough negotiator! Her voice is strong, her body language uncompromising. Few people see the vulnerability she covers up so well. (Anger is often hurt, anxiety or insecurity dressed up. It can be a self-protection thing.) Kay shouts when she wants to cry and storms off alone when she desperately wants a reassuring hug. I only really began to see her when I began to pray for her. Then I had to school myself not to react to her anger. Next, I named her true feelings for her and told her it was ok to feel that way – “those are normal human feelings. It’s what you do with them that makes or breaks you.” It’s still early days in my journey with Kay but she’s begun to let her true feelings show. That means I can comfort her when she’s hurt, work through her worries with her, and reassure her when she’s insecure. Ultimately, I can point her to the unfailing source of protection, comfort and love – God. The vulnerability I saw today is a new, beautiful softness. She is able to relate better and she is stronger for it. She’s almost five, and she loves to dress up in twirling skirts and dance. Laughter is never far from her. What makes her human? Is it her self-awareness and ability to choose? Or maybe it’s the fact that she hides when she spills chocolate mousse on that new white dress! 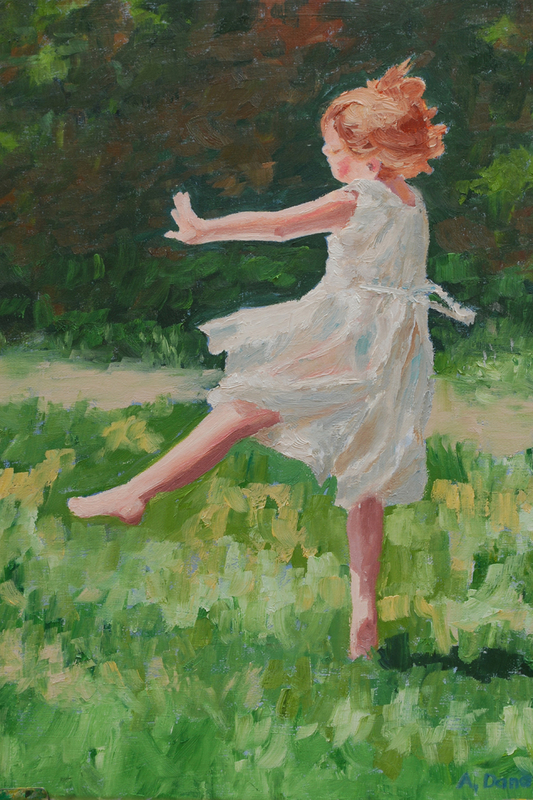 No – it’s her imagination, as she leaps onto her sister’s back and rides to win the horse race. It’s the loving way that she’s begun to make and keep relationships. And it’s her amazing ability to string together words to make herself understood…. Scholars argue about what makes us human. But their arguments cannot reduce the unique being who is my daughter to a combination of genetic factors, chemical secretions, education, upbringing, and society’s conditioning. When we sit down in the quiet, away from it all, we all sense that we are more than just this body that contains us. Some people panic at the thought. Others long to see the fullest expression of who we are. We see that in God – because He made us to be like Him. We are not gods ourselves, but neither are we animals. God defines what it means to be human. He tells us who we are. What we were meant to be. Humans are children of God. It’s that spark of dancing other-worldliness that turns science on it’s head and causes scholars to continue to wonder – what makes us human? When you had your breakdown, why didn’t you talk to us? Why didn’t you look at my picture? Why didn’t you want us to come back home after being at Grandma’s? My lovely girls, I wanted to talk to you, to look at your picture, to hug you and welcome you back home from Grandma’s. I didn’t do those things. Why? There were many different reasons that don’t make any sense to me now and would not make sense to you. I’m so sorry that I hurt you. And I’m so glad that I’m free now to do the things that show you how much I love you. Why did you hide the pills when I came in the kitchen? Don’t you want us to see your medicine? I didn’t want you to see me taking my medicine because I felt ashamed of my illness and ashamed for having to take medicine. It was wrong to feel that way. I’m sorry if my behaviour made you feel left out or awkward. How did the doctors cure you? My understanding is a bit like this: the doctor felt that part of my brain was overactive, galloping along instead of trotting, and so they gave me a special medicine that acted on that part of my brain to slow it down. Will we get sick like you did? And why or why not? There’s no need to be afraid. My illness was not contagious – you won’t have caught it from me. Why were you and Daddy fighting…? It might be best to ask Daddy this question… I did many things that I didn’t really want to do. I’m sorry that I hurt you by arguing with Daddy. Why don’t we see those two friends again? I was ill when our relationship with their parents ended. Something I said or did offended them and they chose to walk away. This evening, all the family sat down together and I answered my children’s questions as shown above. The results? They were satisfied with my answers; they forgave me for the hurt I’d caused them; some misunderstandings were cleared up; more room was made for love. It’s good to get these old issues out of the way and have a cleaner start to 2013. Has anyone else done something like this? “My rights, my life, my time, my well-being… oh, and my money”. Let’s face it, nothing challenges this way of living so much as parenthood. When we become parents, we give much of what is ours away – and it’s a culture shock! Normally, when we give, we give only what we can easily afford, after all it’s considered reasonable to do that, isn’t it? And unreasonable to compromise our own comfort or well-being for the sake of something outside of us? We work hard to keep ourselves whole. But I’m inspired this year by those in this world who live in brokenness. Their lives have been cracked wide open. They care about others, meaning that they invest in others, more than they care about, or invest in, themselves. Somehow, they’ve found a way off the manicured road. Their lives are an adventure in generosity. They are beautiful people. How did they get that way? How did they lose the fear that motivates most to hold their lives together? These broken, courageous lives seem to consist of something other than rights, time, money and personal wellbeing. They give these things away! How different from a life lived for oneself, in the fabricated happiness of personal comfort. What if real happiness could be found in letting go of pursuing our own well-being… What if by losing our lives for love’s sake, we actually find them? I loved our trip from London! Leaving behind the illuminated bridges, towers of lights and crowds we headed down the motorway for the three hour trip to our valley. Not far from us, glimpsed through the bare winter trees, was water. It led us all the way home, just like the silvery moon did in childhood days. Firstly, it flickered in the playground. The children’s jaws dropped. Reflected in the pools around them were the slide, swings and climbing frames. The water loaned them an uncharacteristic grace and stillness. Then, the water of the Thames, muddied and swirling, escorted us out of the city. It was deeper and more powerful than we’d thought so, meekly, we followed it’s lead. Surrounded now by farmland, we accelerated towards home. But the water kept pace. It filled every dip in the fields and silvered the muddy tractor tracks. Once modest lakes and pools brimmed over generously. The grey skies were no match for the gleaming ground. That gave a boost to my spirits. The ever-present water was like a message from heaven: no matter what life brings, you’ll never be alone. God doesn’t leave humanity alone! Uncontainable and powerful though He is, He stoops to the ground and makes it mirror His light. Look out for Him in life – He leads us home. It’s past the children’s bedtime. I wish I could say all I can hear is sleepy murmurs but actually the littlest is dramatising story time in a very wide awake voice. Every so often, I hear the turning of pages from my eldest’s room. This evening, I have no definite plans. It feels like an in between time: the end of one day but not quite the beginning of the next. The whisper in my heart is “prepare for tomorrow”. – a small class of 5 year olds. I’ll be teaching them a lesson I drew up earlier. – a hungry family. The ingredients for tomorrow’s meals are in the fridge. – taxi duties. The car’s fuelled up and I’ve mentally prepared the driving route. Anything else that is asked of me, I’ll need inspiration for. Where do you go for inspiration? I sometimes turn to true life stories. Tonight, I’m thinking of a woman named Esther who prepared herself for success in the face of great danger. Drawing courage and compassion from her God, she risked her own life, making diplomatic intervention to save a people group from genocide. What tomorrow brings me will hardly be on the same scale, but I pray that I face them with courage and compassion. He and I were back from our date. I answered desperately, “It’s difficult to say…”. I like a good action movie. Watching good overcome evil in spite of overwhelming odds is not just a thrill, it’s inspiring. 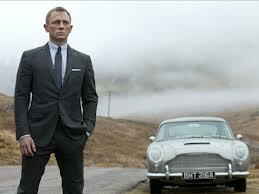 But the latest James Bond movie – Skyfall – made it difficult to capture that feeling. For me, the question at the heart of the movie was “what is the value of human life?” And the answer was too easily put that life is expendable, whether you are a top agent, a desirable woman or one of the bad guys. But that wasn’t the end. “Everything I do, I do it for you,” the song goes. And the sometimes cold-blooded actions of the good guys were done with the purpose of saving lives. Is it ok for one good man to die so that many others can live? (In this movie, the “many others” were good guys too). If “yes” then where is the compassion for and valuing of the one life? If no, then where does that leave the gospel of Jesus Christ? (He paid the price for our wrongs by dying in our place while we were still the bad guys). Life is a priceless thing. What could be given in exchange for it? Perhaps that’s what lies behind the difficulty I had with Skyfall. The ones who died – what did they get in exchange for their lives? Was it something worth dying for? Here’s a beautiful thought: in exchange for His life, Jesus got you (if you close the deal by choosing Him).